I am back home after an amazing week on Lake Erie with some great friends and family. 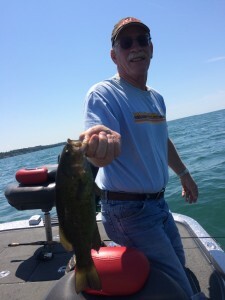 Overall I would grade the fishing a B+ and the weather an F. Seriously, the weather was as bad as you could get for a July in Erie, PA. Cold front which dropped morning temps into the low 50’s? 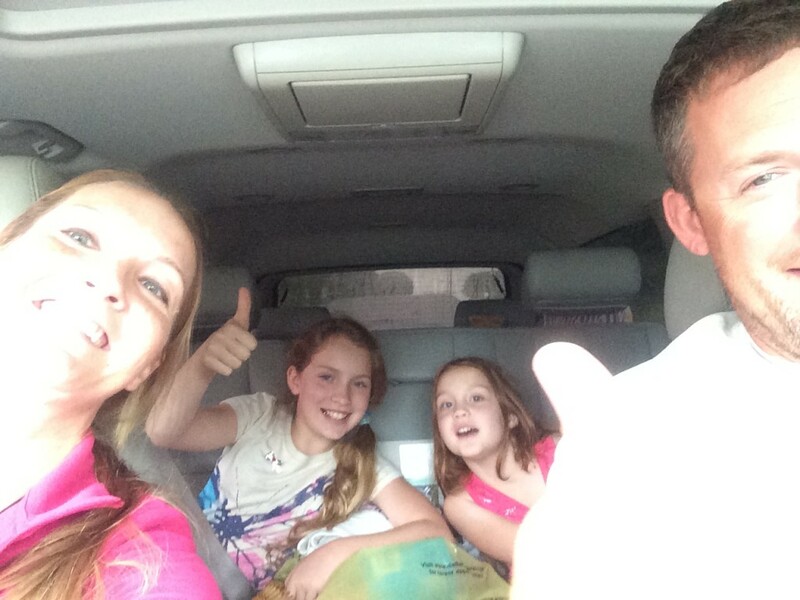 check…..30 mph winds and storms? check. 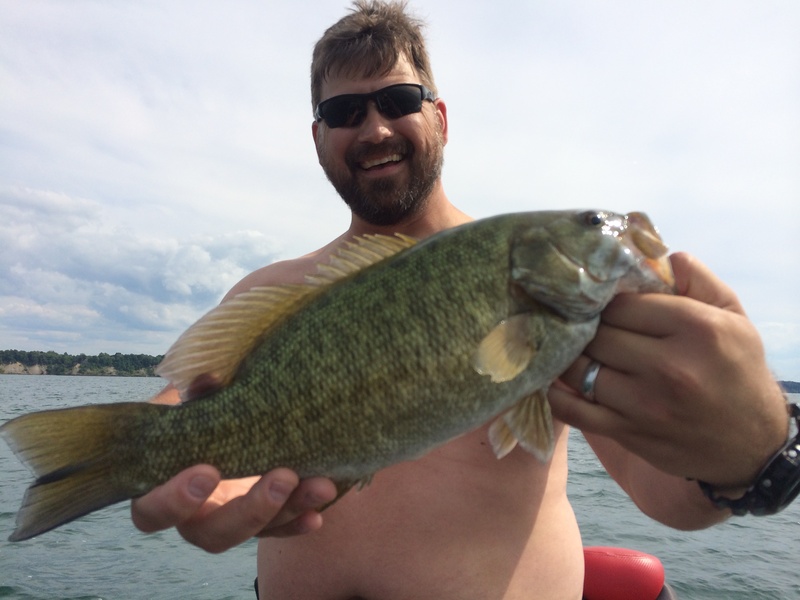 My goal was to get every single person that stepped on my boat a 6 lb smallie. 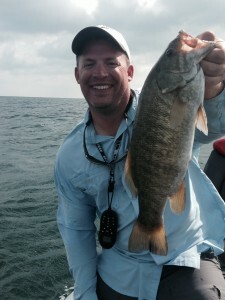 That didn’t happen, but we caught well over 200 smallies and some world class sheepshead as well. 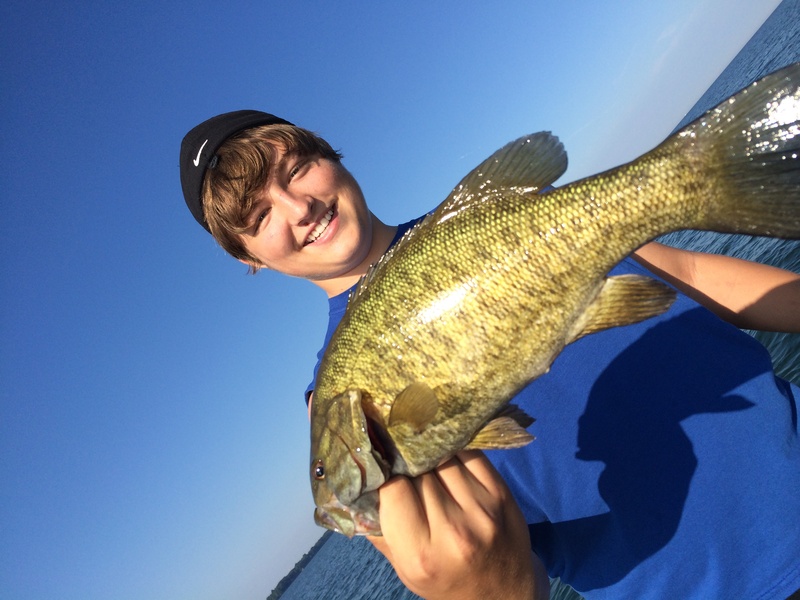 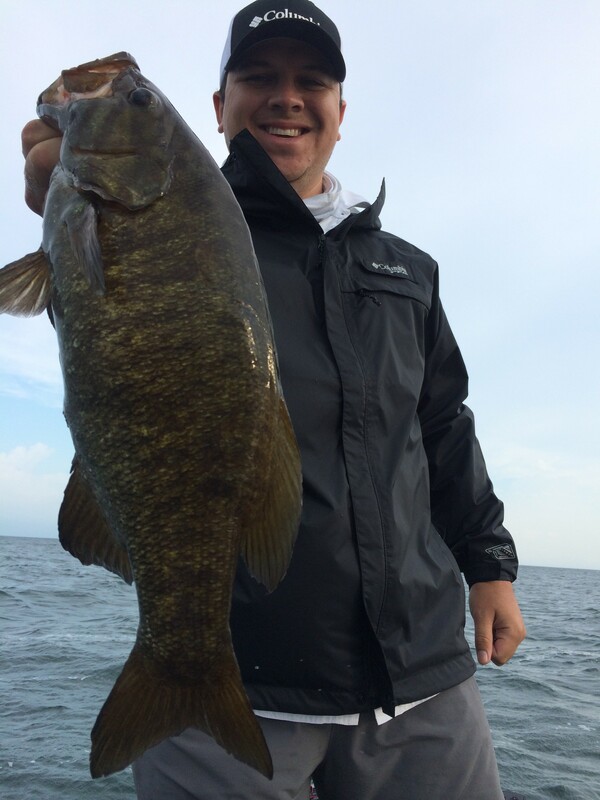 Here is Danny and the biggest smallie of the trip that went 5.42 pounds. 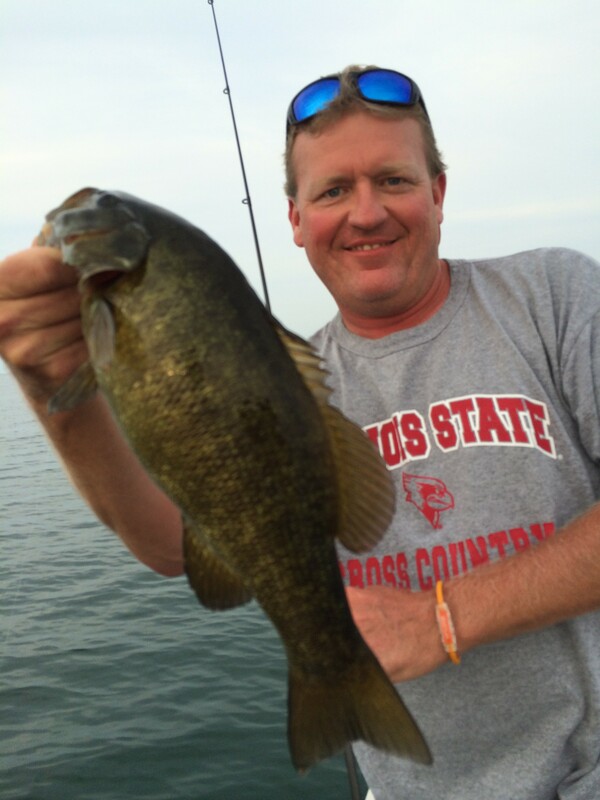 If you are interested in some amazing summer smallmouth action on Lake Erie shoot me an email. 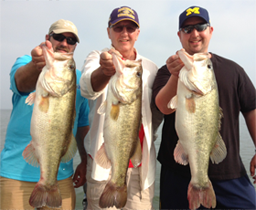 There is a very good chance that I am going to add 3 to 5 more trips next year. It was too much fun not to do it again. 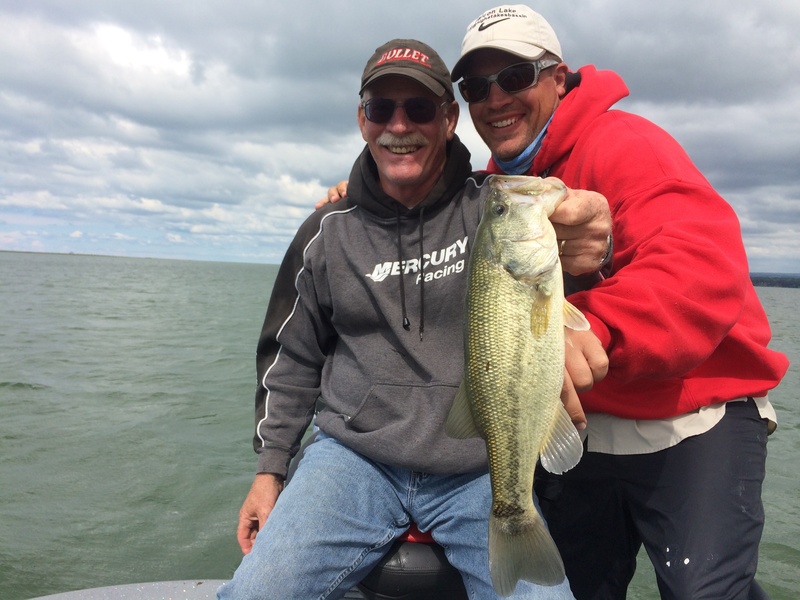 Check out the in-game posts from the Lake Erie trip on Facebook and while you are there shoot me a “like” on the fan page…..gracias!